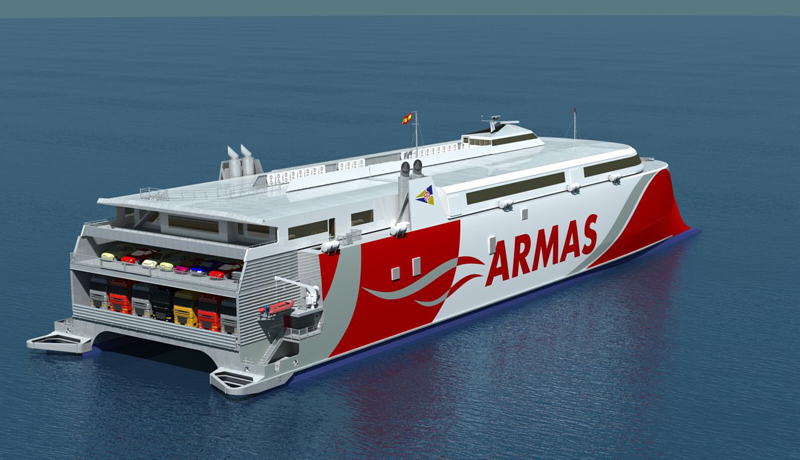 In May, Naviera Armas will take delivery of the 111m Incat 091, VOLCAN DE TAGORO. She will be named after a submarine volcano, which erupted off the island of El Hierro, the smallest of the Canary Islands. She will have a capacity for almost 1,200 passengers, 215 cars and 595 lane metre of ro-ro cargo. Contract price: EUR 74 million.